Yes, the title of this post is in caps because I want to yell it. I love that libraries keep evolving, I love that my job is constantly changing and requires that I am always learning. But please let's stop renaming the library space! Instead let's redefine LIBRARY to represent the modern digital learning environment it has become. Perhaps, create a mission statement that reflects a constantly evolving learning space that includes a certified professional to facilitate those changes. Why am I so passionate about this? Because I am a school LIBRARIAN. 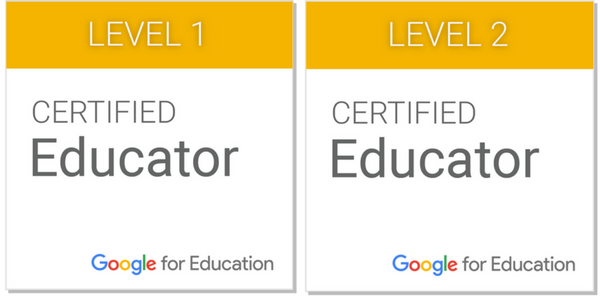 My Connecticut Educator certification is 062: School LIBRARY Media Specialist. My Master's Degree is in LIBRARY & Information Science. Yes libraries are a "learning commons", comfortable places where the school community comes work and collaborate. But more importantly, it is where the SCHOOL LIBRARIAN is found. My fear is that if the word library is taken out of the name, decision makers will also take the librarian out of the room and that would be (and in some schools already is) detrimental to the educational experience of students. I can assure you today's school librarian is not shelf reading or sitting at their desk reading the latest best seller. 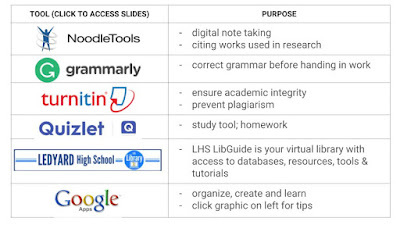 Your school librarian is working with a students teaching research skills, how to avoid plagiarism, digital-note taking, or the newest citation methods. Your school librarian is emphasizing how to evaluate web sites found through search engines, how to be skeptical and check the validity of what is posted on social media. Your school librarian is teaching students how to use and access quality and relevant information found on databases. Your school librarian is planning and co-teaching with colleagues. Your school librarian is researching new databases and resources to support current and new curriculum. Your school librarians are attending webinars and conferences to learn how to integrated new technologies. Your school librarian is troubleshooting computer and technical problems. Your school librarian is reading reviews to purchase materials that support individual learning and interests. Your school librarian is encouraging students to read for pleasure and is always ready to recommend a good book! I am a school librarian and I do not need or want a new title to encompass all that I do. Ok yes, officially I am SCHOOL LIBRARY MEDIA SPECIALIST but besides being a mouthful why can't the "media specialist" be assumed as part of the LIBRARIAN role? 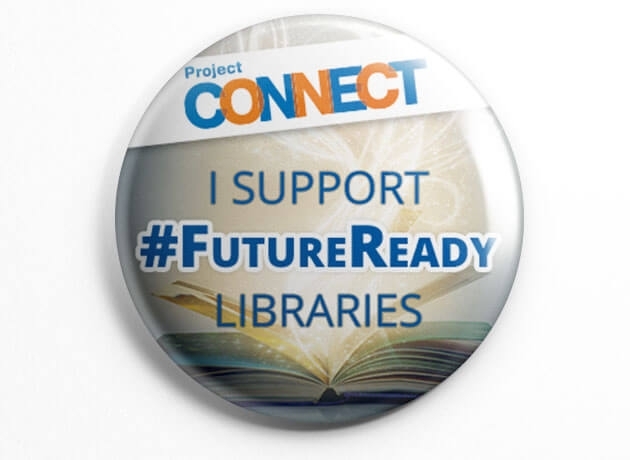 If your school does not have a full-time school librarian, I challenge you to ask the decision makers in your district who is doing the work of a school librarian, who is making sure our students are information literate in the digital world. And please use the words LIBRARY and SCHOOL LIBRARIAN (or SCHOOL LIBRARY MEDIA SPECIALIST). You forgot our number one role: Leader. Thank you for a well-written piece. I know that my contributions to my school are valuable. They do not need to be "fancied up" by verbage that explains my job to the remainder of the world. Rather, as you state, we should celebrate the term LIBRARIAN as a moniker that encompasses all our mighty responsibilities. You are right! I did! Thank you for pointing that out. YES YES YES!!!! I feel that people who keep trying to change the names, truly never understood what a library was/is! I feel this happens mostly in the school setting. Public libraries don't seem to have as much of an identity crisis. Frankly, it makes me realize that many in education don't know or understand all the libraries do and have ALWAYS encompassed! Bravo. I am considered a Learning Resource Center Teacher. WHAT??? We are called the LRC. We had an opening in our district and we had special education people applying because nowhere does it say LIBRARY! How can we get qualified candidates if people don't even know what they are applying for? Thanks much! Keep up the good fight. We are hoping to get our name and space changed back to include Library this year.